An elegant backing for cabinet knobs. With its classic design and embellished edging, this Richelieu backplate will add style to kitchen or bathroom cabinets. This back plate by Richelieu features a distinctive beveled edge and antique style. Use it as a backing for cabinet knobs and add a touch of custom elegance to your home dicor. This classic, intricately detailed, rectangular knob is a beautiful addition to your kitchen or bathroom. Classic oval knob by Richelieu. Subtle detailing of knob and shaft provide a nice accent to classic kitchen and bathroom furniture and dicor. Traditional Metal Backplate for Knob Brushed Nickel - Châteauguay Collection An elegant backing for cabinet knobs. 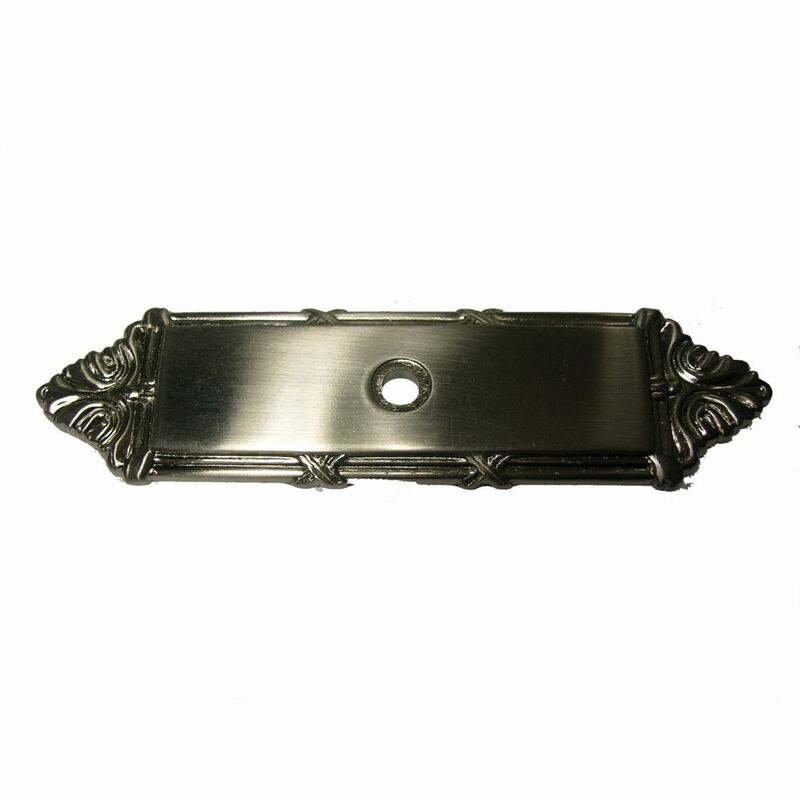 With its classic design and embellished edging, this Richelieu backplate will add style to kitchen or bathroom cabinets.